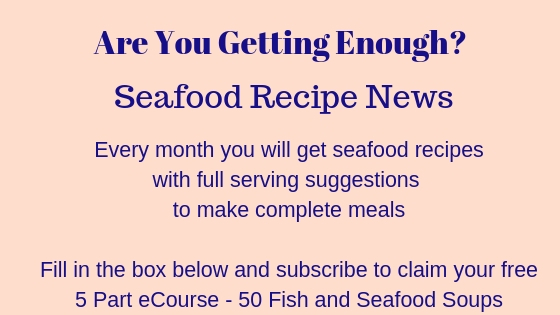 This is the final part of this tutorial to go to part 1 of parsley sauce for fish, click here. After half the milk has been added, cook the sauce for a couple of minutes. It will thicken during this time and become a paste again. Remove from the heat and add another quarter of the milk. 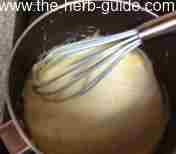 Whisk and stir again until it is blended and the sauce becomes smooth again. Return to a medium heat and stir all the time. 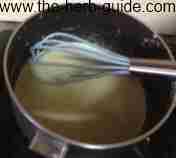 The sauce will thicken again and you must then decide if you want it a bit thinner or if it's OK as it is - whisk a tablespoon of milk at a time until it's the right consistency. Cook for about 8 minutes in total, stirring often. Add the parsley to the sauce. Check the seasoning at this stage - go easy on the salt, but you may like a few twists of pepper. Allow the sauce to cook for another minute or so. Serve hot with plainly cooked fish - cod, salmon etc or use to make a fish pie. I shouldn't really mention this, being the writer of a fish site - but it's also fantastic with gammon steaks! 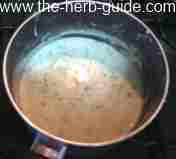 Step by step photos and instructions show you how to make parsley sauce for fish - or anything!.